lives predominantly on dogs and feeds on their blood; however they are also known to transfer onto other house pets, such as cats, and also on to humans. They are hardy insects which need to be exterminated as soon as possible. If the dog fleas are left to feed, multiply and move around the house you will need to seek the appropriate means of getting rid of the infestation, and not only is this an arduous task, it also costs a great deal of money and time. Dog fleas have no wings, but an incredible ability to jump over 150 times their own body length and 80 times their body height. This may not sound a lot, considering the dog flea only grows up to 2mm in length, but it means they can transfer from pet to pet and pet to human with little detection. Therefore, if you find that your house pet dog is infected, then it would be wise to also check the area where the pet sleeps and also any family members that have come into close contact with the dog. about having the dog fleas removed from your pet immediately, you should also be sure to conduct a thorough search of your home, the area that the dog inhabits and also anywhere the dog may have been (in the car, in the yard, in the bedrooms, on the furniture, etc). Fleas can multiply at an alarming rate and also have the ability to carry diseases, tapeworm and cause dermatitis. 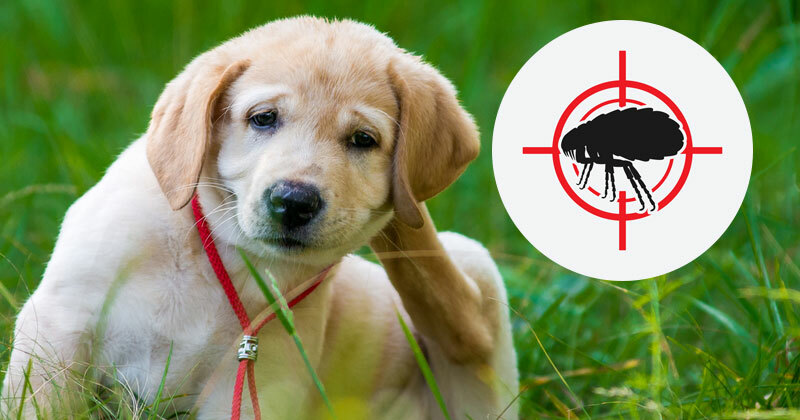 If the dog fleas have been caught by wild animals or strays, you will want to look after your dog as soon as possible for its long-term health. You can rid your dog of fleas with an array of products, easily purchased on the internet – but be sure to also pay the same amount of attention to your home through different means of flea control. Preparation is very important as you may have to perform multiple tasks in synch with each other. 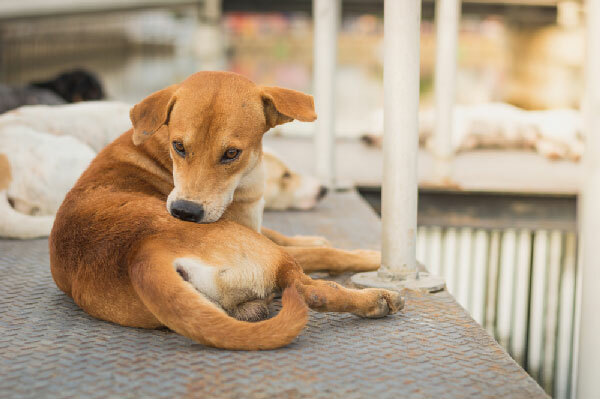 Dogs can be given flea combs, collars, baths, sprays, powders, wipes, shampoos, grooming, dips, repellents and medicines/pills amongst other control methods and the home could be treated with an appropriate fogger or flea bomb. Remember that you must target both the adult fleas and all immature stages of their life cycle. To do so, you need to use an adulticide (for adults) and an insect growth regulator (for eggs, larvae, and pupae). There are many techniques and methods for getting rid of fleas on your dog. If you are uncertain which is best then you could always consult your local veterinarian or ask friends and family (forums are also a good source of information). You can buy products over the counter and directly from the internet, however, the chemicals and insecticides used must always be suitable for your type of pet, so ensure you fully read the label and instructions and be confident before you apply any treatments. Some products are harmful to other pets and humans so always read the contents/ingredients. Your veterinarian will be able to advise the best product for your type of dog so it may be worth giving them a quick call for professional advice. Once you have treated your dog fleas, it would also be a good idea to look into ways of flea prevention and control for the future. Use flea repellents on your dogs and ensure they maintain a healthy nutritional diet so they are less appealing to fleas. You could always add some natural flea repelling supplements to your dog meals, such as garlic – but understand the correct dosages as too much could be harmful. It is possible to define fleas at dogs by their behavior and reaction. The dog becomes very irritable. It sharply and aggressively reacts on the environment. Quite often the dog loses appetite and it can even lose some weight. The dog is constantly disturbed by an itch that involves scratching which can turn into ulcers. The ulcers can be a source of infections which lead to other consequences. The fleas are also the carriers of such disease like Dipilidioz. It happens when dogs bite out the fleas. It is necessary to consider that this disease difficult to treat, what is more it extends on people but in this case the infection occurs in some other way. 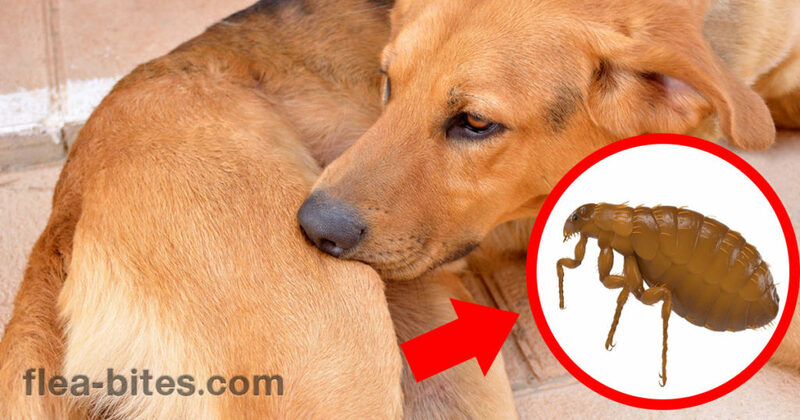 The best and long-term medicines for killing fleas on dogs are sprays and drops. These medicines differ in using. With the spray from fleas all the hair of an animal should be processed and drops from fleas should be processed directly on the top of shoulder of the dog. Actually these medicines have identical effect. The expiration date of the spray and drops lasts from 2 day to 4-5 weeks. What else kills fleas on dogs is a collar from fleas. The collar has longer expiration date but in its turn it isn’t a medicine. It is necessary to mention that if the sprays and drops from fleas treat an animal from the fleas, the collar only frightens them off. Actually such option as the collar from fleas necessary to use as a prevention, nothing more. There are chemical and biological collars. The chemical collars better not to use for puppies, pregnant and feeding dogs, in this case there are biological options. To kill fleas on dogs use an antiflea shampoo. The shampoos from fleas have the same effect as collars. 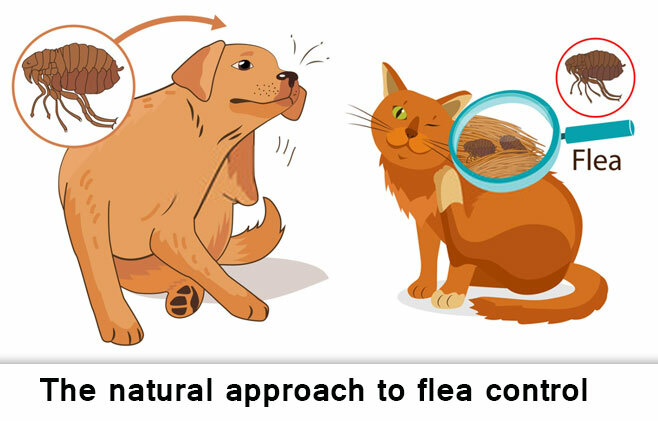 To get rid of fleas on dogs it will be simpler if you use the means from fleas in a complex. To start with the dog should be processed with preparations and cured, then wash it up well with shampoo, and in end put the collar on it. After you found fleas on the dog and began treatment don’t stop only on methods of treatment and preventive measures. It is necessary to carry out the complete processing of a room, floors and dog’s places. The floor coverings should be vacuumed and a vacuum bag should be destroyed. After all the actions, given above, are executed and you managed to get rid of fleas on the dog, it is necessary to treat your dog from the worms. It fell out that the fleas are active carriers of helminthes. The veterinarians advise to do the processing of your pet’s hair every period since March till November. Use drops from fleas every month during this period. Try to prevent such problems to your pet and it will pay you back with the devotion and fidelity.